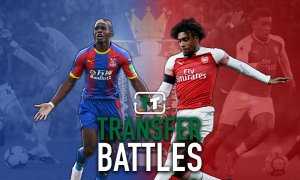 Arsenal's potential 2018/19 defence if journalist's player transfer prediction comes true | The Transfer Tavern | News, breakdown and analysis on all things football! The Arsenal fans in the Transfer Tavern are hoping that a few major changes will be seen at the Emirates next season. Under Arsene Wenger this season, the Gunners simply haven’t been good enough – with a top-four finish already likely out of the question. Next season, then, major improvement will be needed to stand any chance of competing with any of the bigger sides in the Premier League. Man City and Man Utd, in particular, looks worlds apart from Arsenal, and given the rich history that the Gunners have in the English top flight, something clearly needs to change. January provided a decent platform for Arsenal, with the signings of both Henrikh Mkhitaryan and Pierre-Emerick Aubameyang – but the real task lies ahead. Their targets, at the moment at least, are yet to be confirmed. But Dean Jones of the Bleacher Report has predicted that Man Utd defender Luke Shaw could end up at the Emirates. He is, of course, looking set to leave the Red Devils this summer after falling out of favour under Jose Mourinho. Luke Shaw to Barcelona is the transfer rumour of the day. 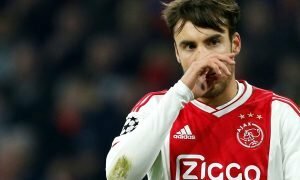 Left-back isn’t exactly a spot that is in desperate need of improvement, but it’s fair to say that Shaw could certainly have an impact if he were to move there. But where exactly would he fit in?